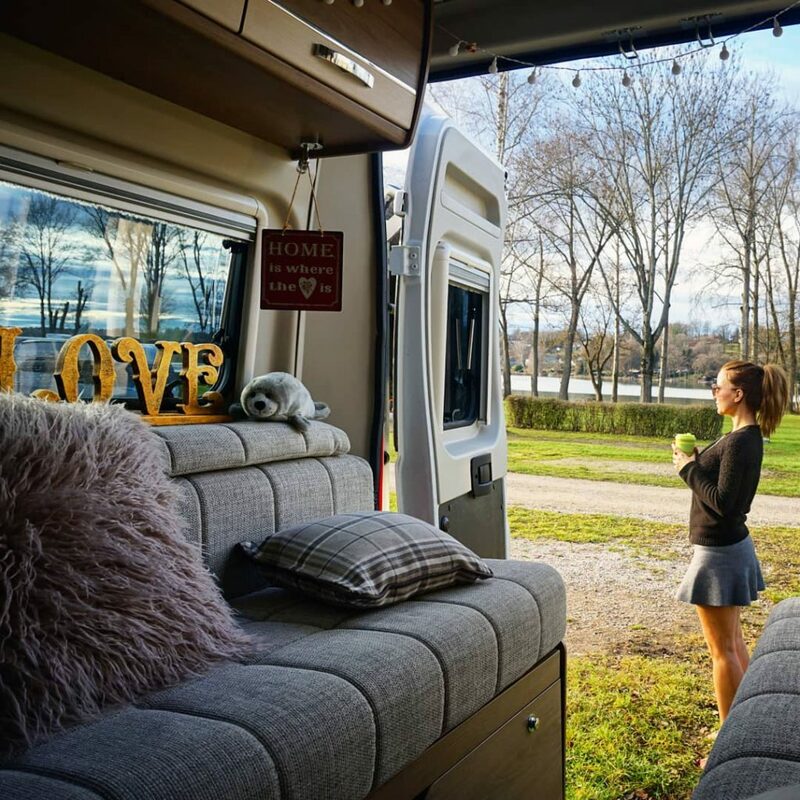 During my first 3 months of European vanlife, I ventured into German soil three times. I first stopped in Hamburg to visit dear friends on my way from The Netherlands to Denmark. 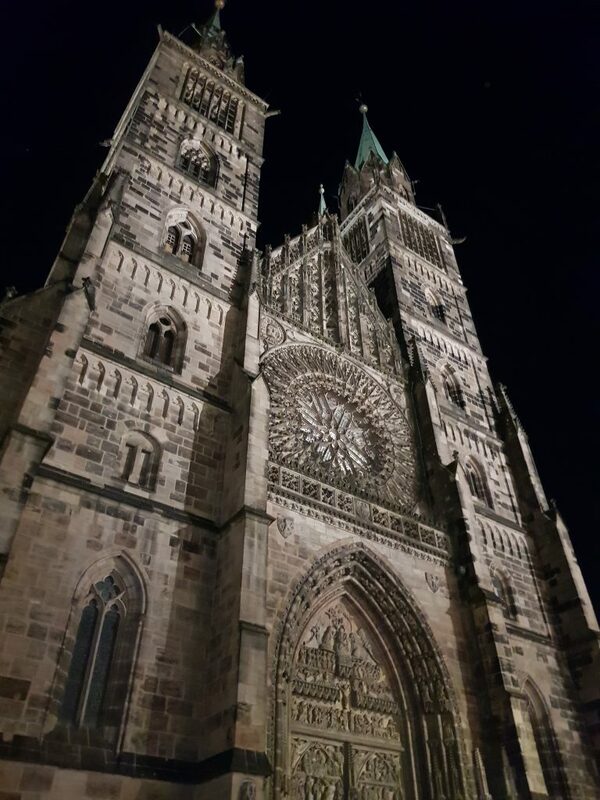 I then visited Schwerin, Berlin and Dresden as I travelled back from Denmark down towards the Czech Republic. 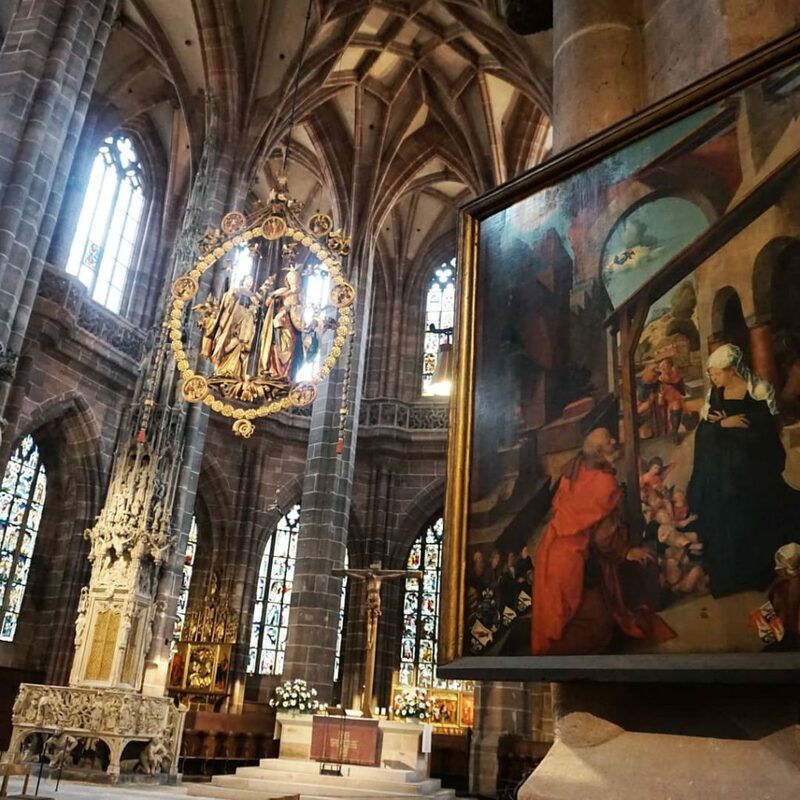 And finally, I returned for the third time to catch a flight to London and spend a few days in Nuremberg before relaxing further South of the Country (Pilsensee), and head to Austria. This stop was on my itinerary from the start because I was keen to catch up with a gorgeous friend I met while travelling in Asia, earlier in the year. He is from Nuremberg and was my surprise “Patrick Swayze” when in January 2018 I reached a secret, small island in Thailand. …my own version of Dirty Dancing, minus the dancing, the family, the dramas, the final show and, what else…ah, I was never put in a corner! 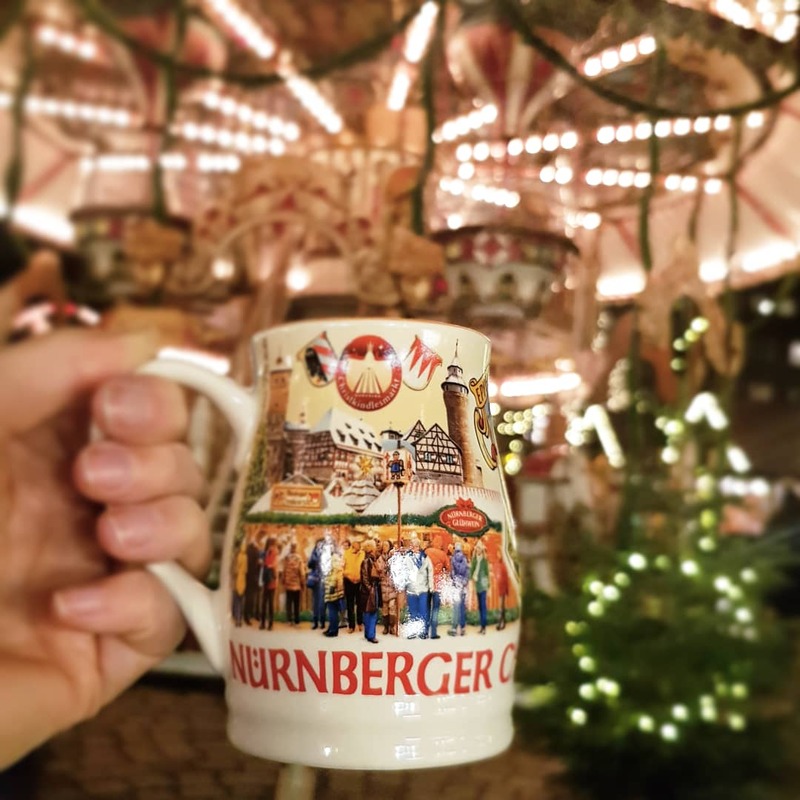 I was invited to an unmissable wedding in London on 30 November and I picked Nuremberg as my flying base. It didn’t make sense to drive there for a 3 days stay. 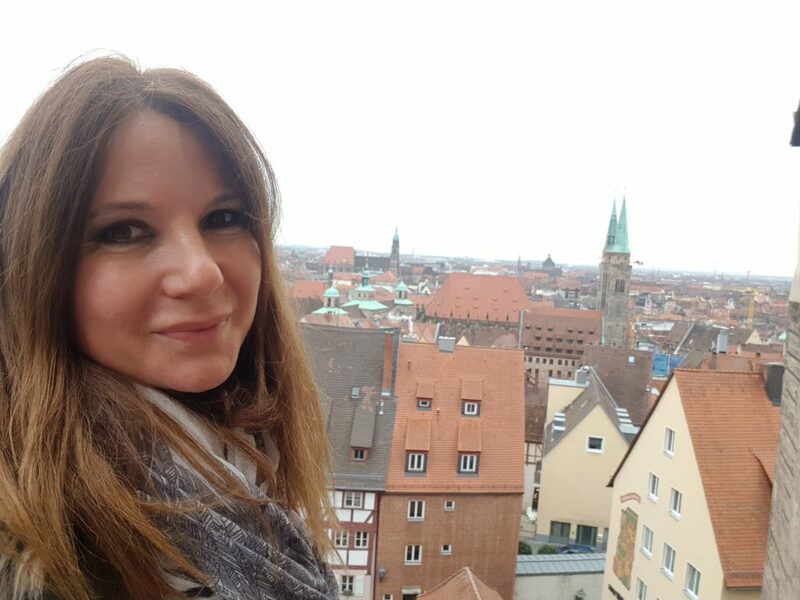 I drove directly to the airport, after a week in the Czech Republic (Prague and Pilsen) and a lastminute hair styling at a salon randomly picked on route to Nuremberg, thanks to Google Maps. 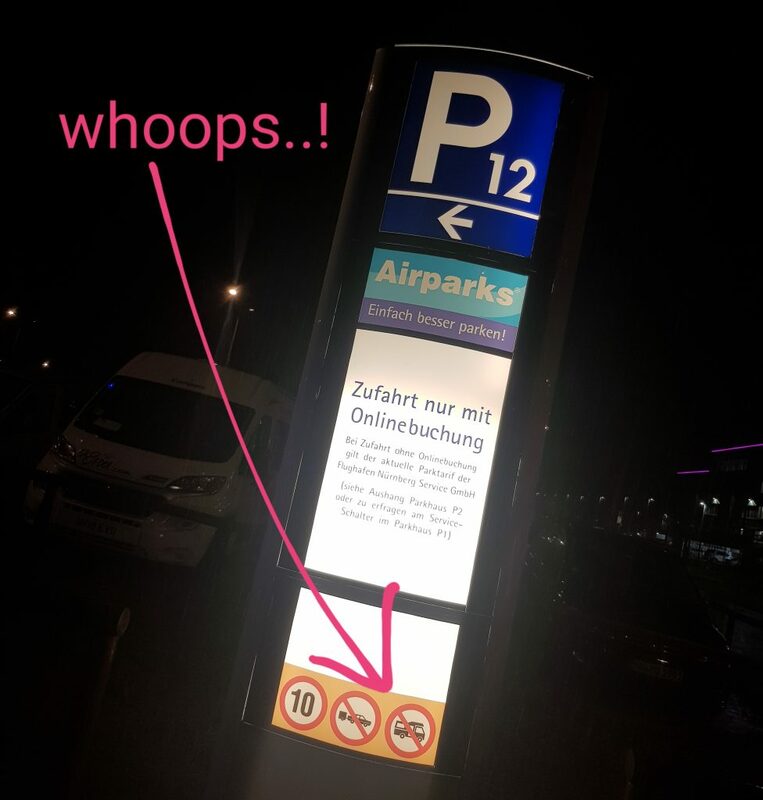 I left Peter Van safely at the airport parking lot, despite noticing a sign showing that campervans weren’t actually allowed to park there. It was too late for me to make other arrangements so I chanced it and left a note on my windscreen before running for my departure gate. The note read: “I am not camping. Flying to London. My no. : xxxx”. It was great to be back in London and see so many of my favourite people in such a short time. The wedding was epic and the next day I made it to an amazing Christmas-themed, black-tie house party. Two glam dresses in two days! I love being able to enjoy such contrasting lifestyles: vanlife hippiness vs. London extravaganza. 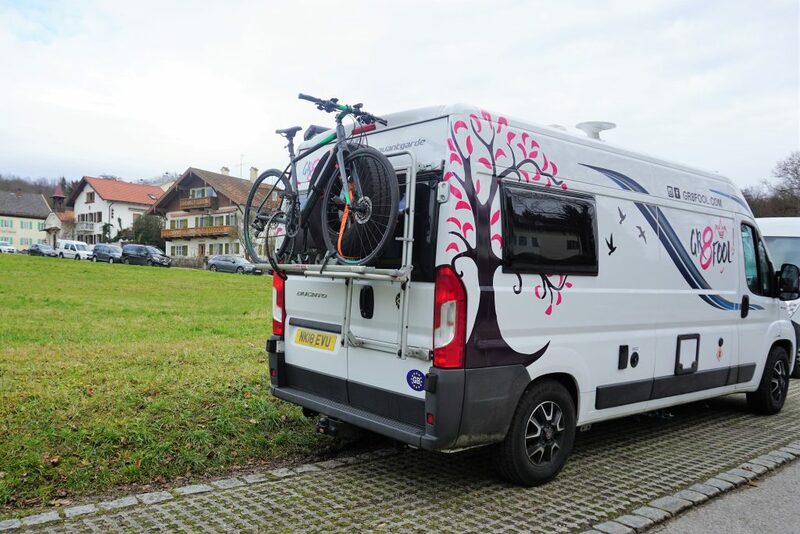 Roaming Europe on a home-on-wheels doesn’t mean adopting a permanent hippy style, nor missing out on special events. It was a relief to find Peter Van still waiting for me at the airport, with no parking tickets and no clamping. In Nuremberg I pitched overnight in a lovely campsite near the Exhibition Centre and another two nights in a dedicated carpark closer to town. 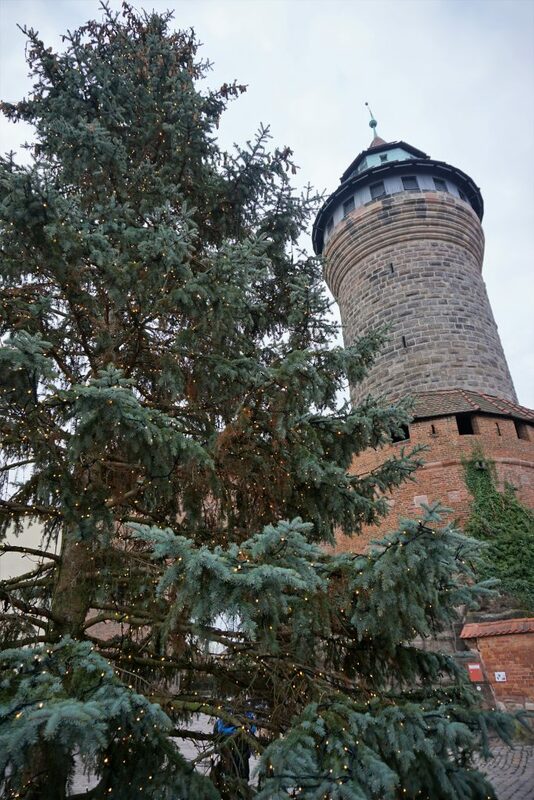 From here I could easily cycle to the centre, along and across the river Pegnitz. 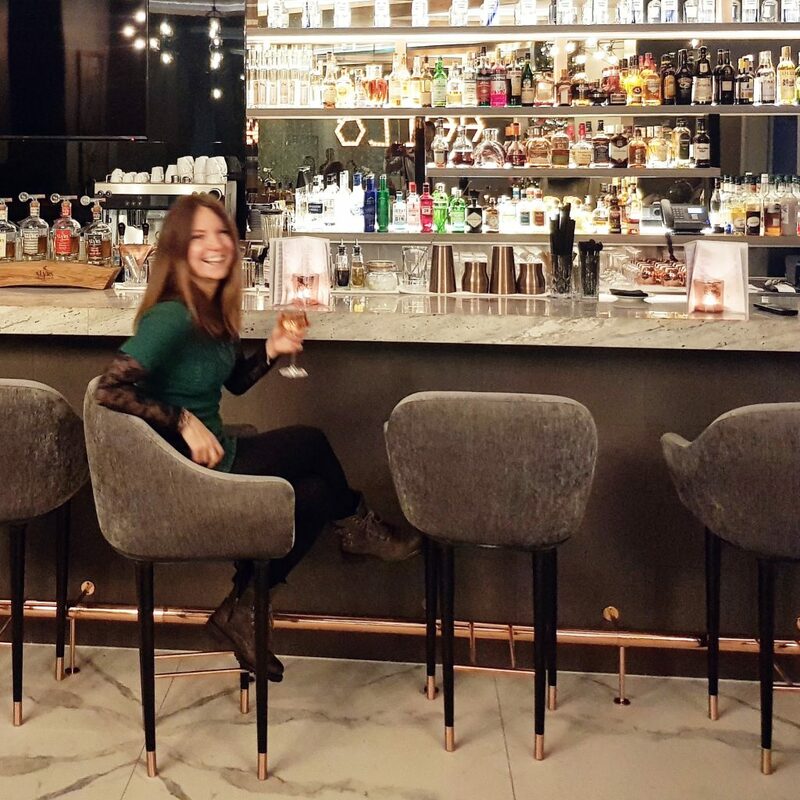 I started my tour of town with a cocktail at the Park Plaza hotel bar, relaxing in their stylish interior designed by one of my talented BFF. 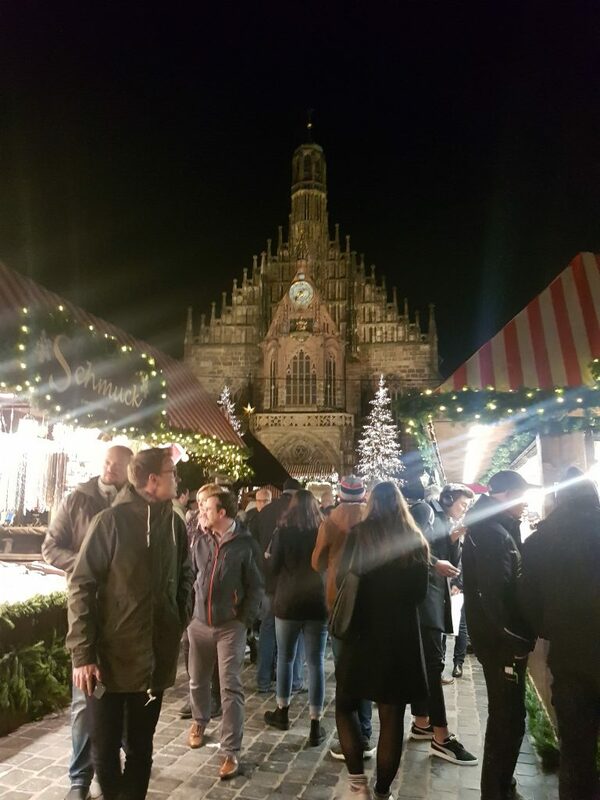 While here, I enjoyed walking around the busy Christmas markets with a mug or two of gluhwein, exploring the Castle and the old part of town, meeting up with a new friend introduced by a mutual London connection and spending some time with my “Patrick”. Over time, our exotic Thai beach romance evolved nicely into a lovely European friendship. As a keen vanlifer himself, he seemed impressed with my Peter Van! After a final breakfast with “Patrick” in a quierky cafe’, I set off on a slow decent Southward, towards Austria and Italy. 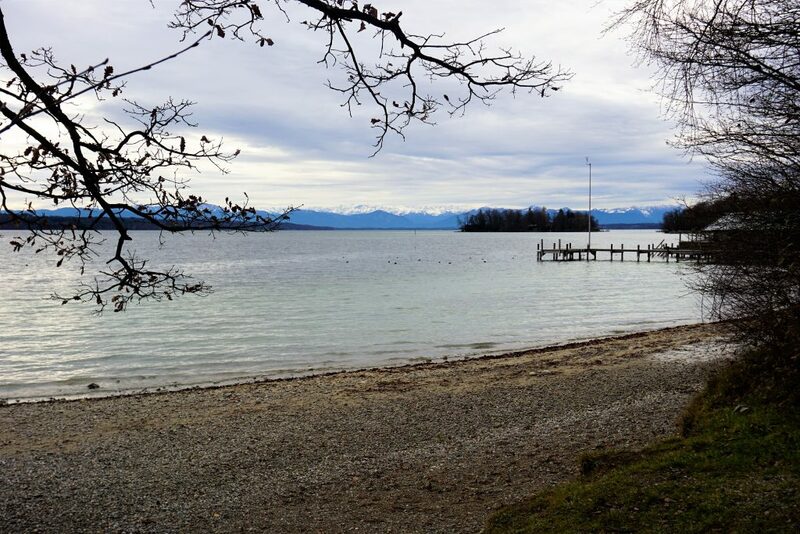 He suggested I checked out Lake Starnberg and its surroundings so that’s the destination I typed on my navigator. That night, I parked up near the Lake, on a quiet residential road. It was dark and I wasn’t sure what awaited me in the morning. I certainly wasn’t expecting to wake up right by the gate of the Possenhofen Schloss (castle), where Princess Sissi, the Empress Elisabeth of Austria, enjoyed her childhood holidays! What a beautiful, random coincidence. During the 19th century, she was also the Queen consort of the Lombardy-Venetia Reign, i.e. now my region in Italy. The castle is still privately owned, hence I couldn’t access it for a visit. Instead, I took a nice walk along the lake, imagining how Sissi spent her time in this beautiful and peaceful part of the World. I then drove to Lake Pilsensee where I relaxed for 3 days. Such a gorgeous and quiet spot. 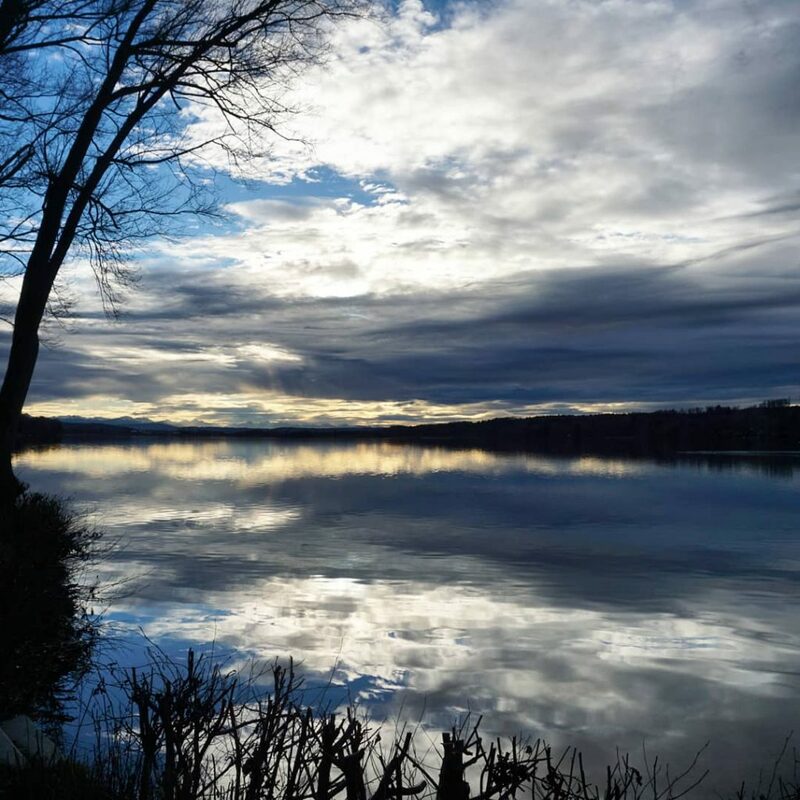 I was spoilt by beautiful views and perfect Instgrammable shots of the lake. A perfect ending to Germany Round 3!